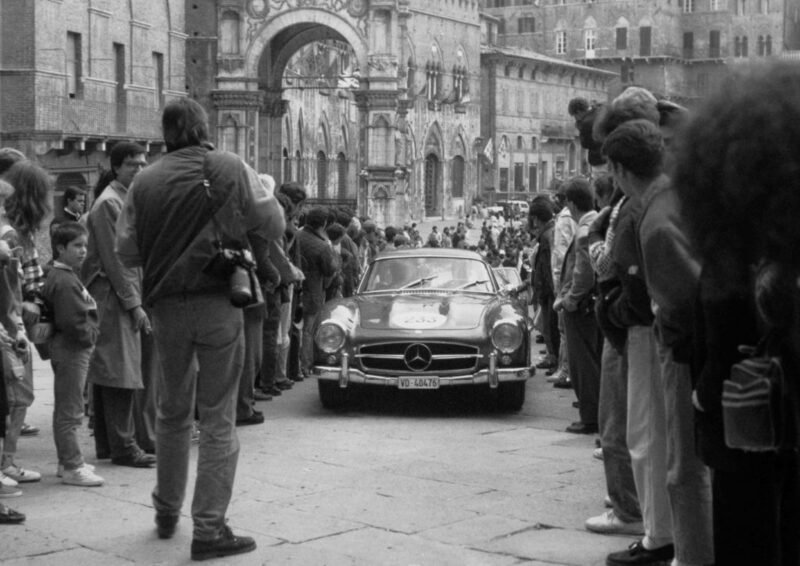 Since 1988, Chopard has been serving as historical partner and official timekeeper of the Mille Miglia, the legendary car rally born 90 years ago. From May 16th to 19th 2018, the race will see 440 teams cover a distance of one thousand miles (approximately 1,600 km) along a historical route leading from Brescia to Rome and back via Ferrara, Cervia, San Marino, Sienna, Parma and the famous Monza track. This competition is reserved for historical models having taken part in one of the Mille Miglia editions held between 1927 and 1956. Loyal to a tradition that began in 1988, Karl-Friedrich Scheufele – Chopard co-president and a passionately dedicated collector’s car driver – is to compete in this latest edition. Roaring engines, smoking tarmac, thrilling speed and waves of adrenalin…. all of which make a striking contrast with the world of watchmaking and its temperature-controlled rooms pervaded by almost monastic serenity. A closer look however reveals a number of similarities between the two spheres: the relationship with time, a passion for fine mechanics, as well as absolute concentration. 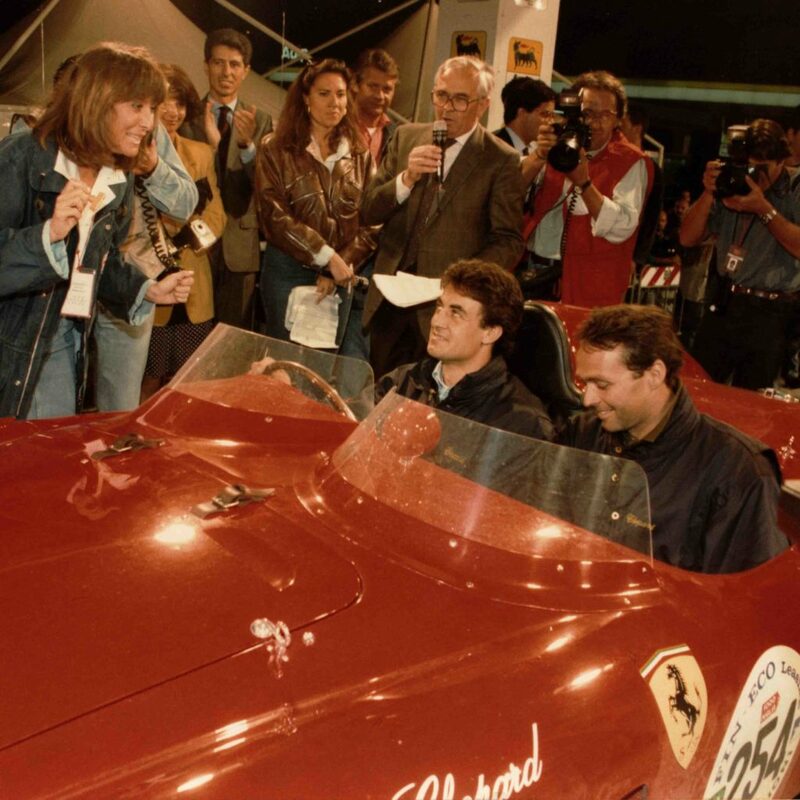 The ties between Chopard and the Mille Miglia have been woven through an inseparable shared history that is now celebrating its 30th anniversary. This bond stemmed from Karl-Friedrich Scheufele’s personal passion for classic cars that fuelled the Maison Chopard in becoming the main sponsor of the Mille Miglia in 1988 – and one of the first brands to associate its name with the automobile world. For Karl-Friedrich Scheufele, these ties are self-evident: “Lovers of fine cars often have a weakness for precious timepieces, and vice versa. 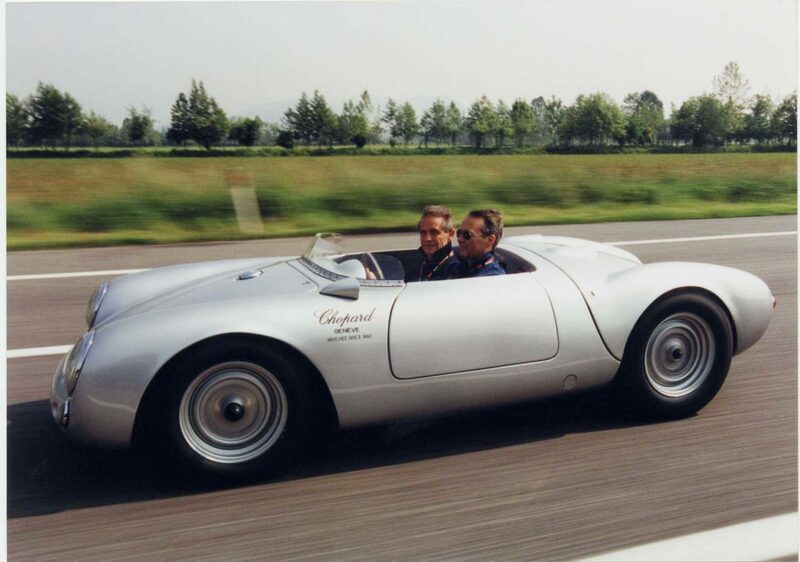 Extreme precision and sporting elegance are important in both fields.” Since his first participation in the Mille Miglia, Karl-Friedrich Scheufele has made a point of honour of being one of the drivers in the Porsche 550 Spyder RS A. The second Chopard team consists of Albert Carreras, son of world-famous tenor José Carreras, and his friend Jordi Pascual. 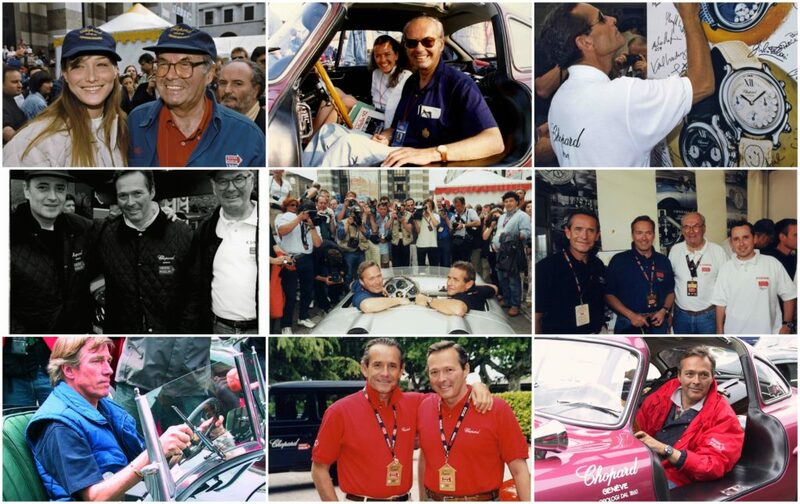 The Mille Miglia is a family story of passion for the Scheufele’s. This passion is transmitted from generation to generation. All the members of the family have taken part or attended the Mille Miglia under the Maison Chopard flag. Karl-Friedrich Scheufele will be on the starting line under the watchful eye of his own father, Karl Scheufele, who instilled in him his own fascination and enthusiasm for classic cars. These moments are special and precious for a father. There is of course a deeply rooted desire to pass on a personal penchant… What could be finer than to transmit a passion for fine mechanics, whether of the horological or automobile variety? Yet, the Mille Miglia is a demanding mistress. A trying race that requires constant attention and tolerates no imprecision. It is all about passing on, as well as teaching, sharing and accompanying in order to help avoid potential pitfalls and lead the car to victory. The qualities required to take part in this rally are well-known and quite logically similar to those of the Chopard watchmakers. 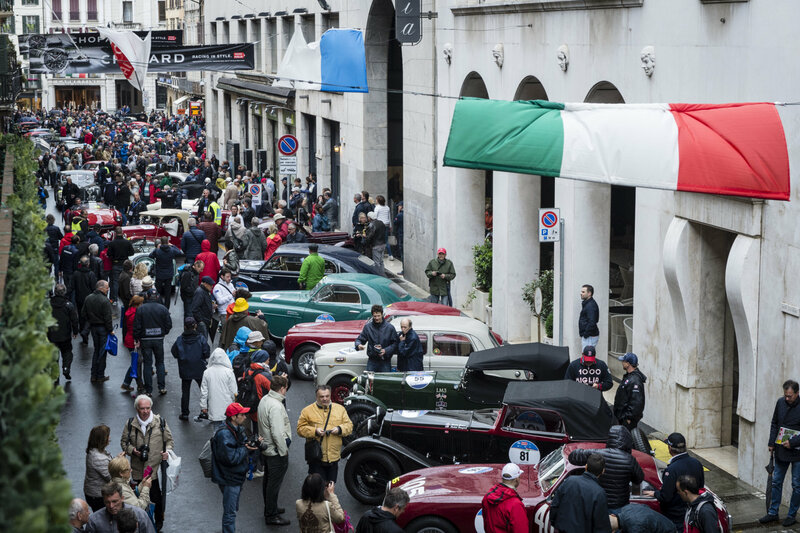 In keeping with a tradition established in 1927, this year’s Mille Miglia route features a loop starting in the town of Brescia. It runs through more than 200 towns and villages of northern and central Italy, taking a different route each year in order to delight aficionados from around the world. The first stage will depart on the afternoon of Wednesday May 16th and end in Cervia. The second will take competitors to Rome where they will enjoy a chance to rediscover the city of seven hills at nightfall. On Friday May 18th, it’s off to the enchanting landscapes of Tuscany, en route to Parma in the Emilia Romagna region. Finally, on Saturday morning, pilots will begin their return to Brescia, where an ever-enthusiastic public will await them. 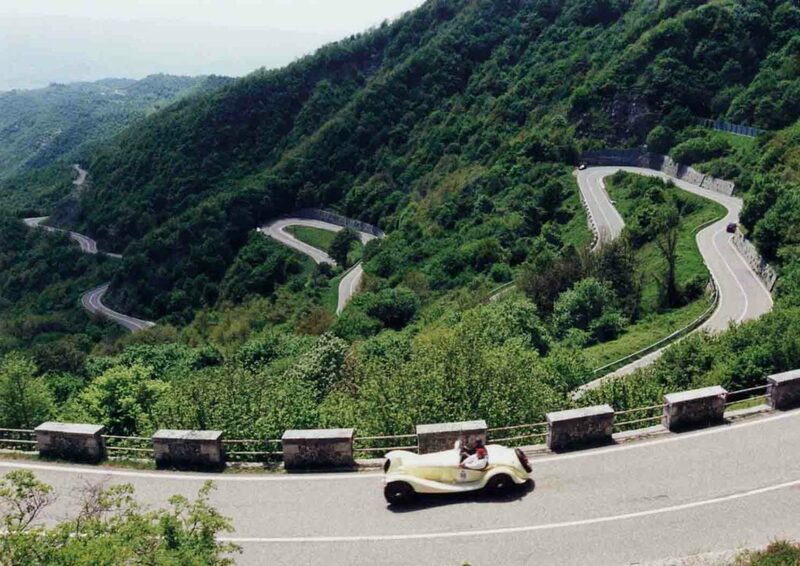 While the actual route of the Mille Miglia varies from year two year, there are two specific features that make it unique: the thousand-mile distance covered, and the Italian art of living inseparably bound up with the race. The world’s finest drivers come for the sheer pleasure of competing in the extraordinary cars that collectors and the best-known museums agree to part with for the duration of the race. The elegance of these classic marvels is matched only by that of the participants. The ‘unreasonable’ side of the rally has given way to very sportsmanlike atmosphere of conviviality and fair play. Good humour, joie de vivre, the art of living and a passion for fine mechanics are an integral part of this competition’s enduring success. This longstanding partnership has given rise to the Mille Miglia watches. Each year, a limited and numbered series is created. The Mille Miglia 2018 Race Edition features an engine-turned dial and counters inspired by the historical car dashboards. It is powered by a high-precision watch ‘engine’, chronometer-certified by the Swiss Official Chronometer Testing Institute (COSC). Beating at the rate of 28,800 vibrations per hour, this mechanical self-winding chronograph movement endowed with a 42-hour power reserve drives the hours, minutes, chronograph, tachymeter and date functions. This high-performance mechanism is housed in a 42 mm case with an exhibition back bearing a transfer-printed inscription reading “Chopard & Mille Miglia – 30 anni de passionne”. One thousand of these watches are issued in steel and 100 in steel and 18-carat rose gold.